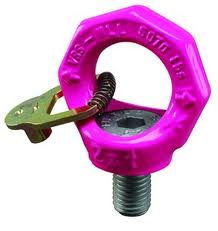 The VRS eyebolt range from RUD rotate in the direction of the load making them the ideal choice for multi-leg lifting operations. 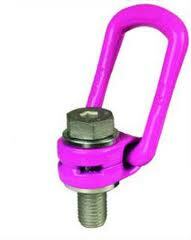 Can be supplied with or without rotational locking device. The design of the VLBG load ring allows for 360º rotation and 180º pivoting, this ensures correct alignment and is 100% load rated at all angles (see load chart for further information).